SATIR is one of the world’s leading civilian thermal imaging system manufacturers focusing on developing, producing, and marketing of infrared cameras. These cameras play a significant role in a wide range of industrial, commercial and governmental thermal imaging activities including predictive and preventive maintenance, condition monitoring, non-destructive testing, research and development, temperature measurement and thermal testing. SATIR’ European Headquarter was founded in 2008 in Dundalk. 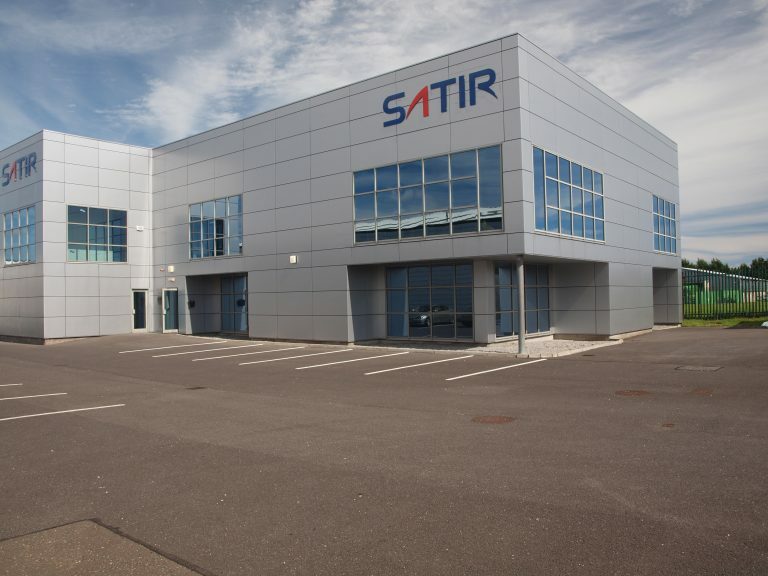 In August 2016, SATIR European Headquarters moved to Drogheda Co. Louth to a purpose-built facility that holds a large production and sales team. The facility offers product assembly, servicing, calibration and repairs for all products distributed into the European Union and strategic countries around the world. All OEM partners, distributors, and customers are handled by SATIR Europe offering local supply and technical support. SATIR is committed to providing its customers with high quality, complete cameras, software, and solutions that can be applied to all fields of applications such as power plant, firefighting, surveillance, petrochemical, automobile, medical, custom, law enforcement, public security and border patrol etc. SATIR Europe prides itself on providing quality products to our customers, we have held the ISO 9001:2008 certification since 2012. SATIR has the full capacities of designing cameras to meet the needs of its customers. The varieties of products include entry level, the advanced level, and the performance level cameras as well as OEM products, and we provide the customers with excellent after-sales support. This is why we believe we are leading the way in thermal imaging as one of the world’s best manufacturer of thermal cameras.